The existing stand-alone viewers require that users download and install the software. There’s nothing wrong with installing software, but as more applications migrate to the Web, folks are less and less willing to download stuff from strangers. I myself, for example, given the choice of a Web-based anything and downloading software to do the same thing, always pick the Web-based option. I opt for Web-based software for quick photo editing, creating GIFs, converting files from one type to another, and similar functions. Downloading software requires a commitment. You’ve got the download. The unzipping and the installation. You have to decide what folder to put the software in, whether to add it to the start menu and the task bar. Installed software also frequently requires a configuration step, or a check for system compatibility. Each one of these stops along the way is yet another opportunity to say “oh, to heck with it” and go do something else. LBSA Plaza loads fast, no lag in chat, walking, or camera pans. Having to install a plugin is somewhere between these two extremes — less of a commitment than installing software, more than visiting a plugin-less Web page. Given a choice, I always pick a simple Web app that does what I need it to do over one that takes a plugin, and a plugin over standalone software. Even when the standalone software is more functional or runs faster. It might not be completely logical to do so, but I’m willing to bet that I’m not alone in this. Again, the SpotON3D viewer is the same exact software as the regular downloaded Hippo (customized for SpotON3D) — plus a plugin that lets it run inside a window on the Webpage. It doesn’t offer any extra functionality to the average OpenSim user and might even add a little lag. If you’re a power user, this is not for you. This is for people who want to get into a virtual world without feeling as if they’re downloading a big hunk o’software. It is a psychological benefit to noobs. 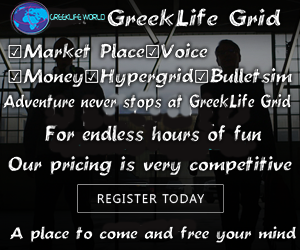 It is a marketing advantage for grids and hosting companies that offer this. 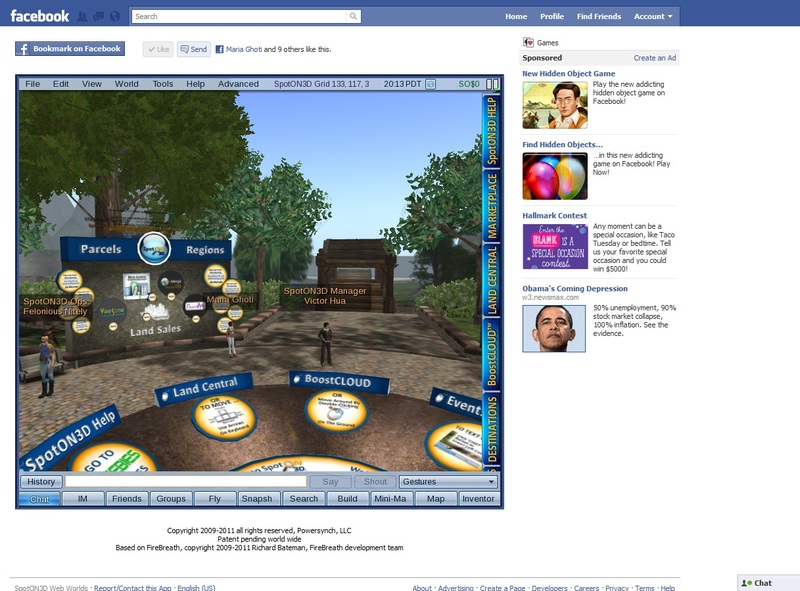 And it’s a usability advantage for schools and companies that want to roll out OpenSim to their students and employees. SpotON3D’s Web-based viewer for Opensim is simply a plugin wrapper over the old familiar Hippo viewer. That means all the functionality of Hippo — building, inventory, camera controls, even hypergrid teleports (when you’re on a hypergrid-enabled grid). It also means that there’s no mesh, media-on-a-prim or other Viewer 2 functionality — even though all those functions are available on grids running the latest version of OpenSim. SpotON3D upgraded to OpenSim 0.7.1 in January. Even without mesh and media-on-a-prim, however, the SpotON3D Web viewer is miles — lightyears, even — ahead of its competition. The Tipodean viewer, www.BuiltBuy.me, doesn’t display avatars correctly, has only limited messaging, no inventory access, and no building tools. The 3Di viewer, Rei, also doesn’t display avatars correctly and is missing all the same functionalty as Tipodean’s viewer. Both require a plugin — Unity 3D for the Tipodean viewer, a custom viewer for 3Di. There are also several non-OpenSim Web-based virtual world platforms — VenueGen, Web.alive, Jibe, Unifier, Assemblive, 3DXplorer. All require a plugin, except for 3DXplorer, which uses Java. So the SpotOn3D viewer is not significantly harder to install that those of most commercial Web-based virtual world platforms. If the SpotON3D proxies non-standard message traffic, then users will be able to use it behind corporate firewalls without having to punch holes in company firewalls. SpotON3D hasn’t responded to my questions about their plugin in yet, so I don’t know if they’re doing this or not, or if this will be part of a future update of the viewer. Right now, all existing Second Life-based viewer use non-standard ports, which poses difficulties for corporate customers. A proxied, Web-based viewer circumvents this problem without requiring a complete rewrite of the viewer and server code. Today, I got to try out SpotON3D’s Facebook app, which will go public in September, according to SpotON3D land manager Victor Hua. It allows you not only to run SpotON3D from within a Facebook page but to create a new user avatar based on your Facebook account — with a nice selection of starting appearances. Or, if you have a SpotON3D avatar already, you can just use that, or create a brand new avatar with any name you want. Given Facebook’s real name policy, this might be an attractive option for folks using virtual worlds for role playing or other activities where their real names are inappropriate or unsafe. The only problem that I saw with the Facebook app is that the size of the viewer was limited to what could fit in Facebook’s app box — with Facebook stuff occupying the top of the screen and the right-hand panel filled with ads. Hua said that a full-screen command will be available when the application launches in September. He also added that the SpotON3D team is working on other optimizations, as well. 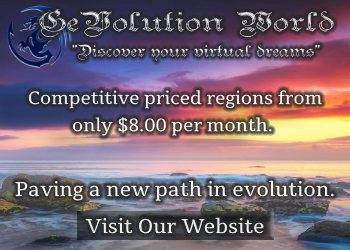 Today, SpotON3D has a little over 200 regions (the company hasn’t responded to repeated requests for updated region counts), which puts it significantly behind top competitors like InWorldz and Avination, which have over 900 regions each. The Facebook functionality could potentially change that, and help the company leapfrog over its competitors. I tried out the SpotON3D viewer both through Facebook and through SpotON3D’s website at 3durl.com/world and all the standard functionality works great. I have a fast computer, and a fast Internet connection, so results may vary for other people, but I couldn’t discern any difference in lag or responsiveness between SpotOn3D’s viewer-in-a-browser and the standard, downloadable viewers I know and love. All functions worked great, the way they normally do. I couldn’t find anything that didn’t work as it was supposed to. I was even able to do a hypergrid teleport between my company grid and OSGrid and back again. I hung out at LBSA Plaza — OSGrid’s main gathering spot — and saw no chat lag or movement problems or any other issues. 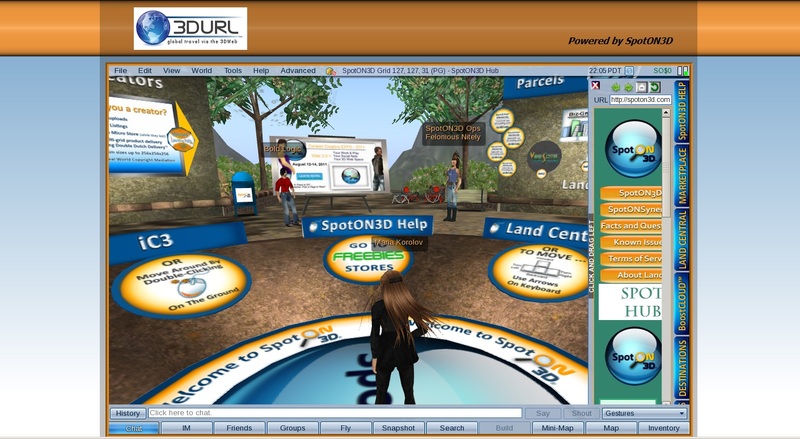 When the viewer was used as intended, to access SpotON3D worlds, there was extra functionality — a sidebar panel on right side of the screen that could slide out, similar to the sidebar in Second Life Viewer 2. The panel included tabs pointing to SpotON3D features, and could also be used to show a Webpage. Based on my experience, I have no problems at all recommending this viewer to SpotON3D’s enterprise clients. Full screen button: Right now, the viewer occupies a space inside a browser window. It’s a reasonable amount of space on the 3durl.com/world page, but too small a window on the Facebook site. A button to make the viewer window take up the full screen would solve the space problem — and SpotON3D’s Hua says this functionality is on its way. Login credentials: Right now, if a user enters an incorrect avatar name or password, they get sent to the regular Hippo login screen, where they can add their own grids, or even Second Life. This doesn’t particularly benefit SpotON3D — and it certainly wouldn’t benefit corporate or education customers who want to use this to give their employees or students access to their private grid. Proxying: Hua couldn’t tell me if the current version of SpotON3D’s viewer already supports proxying of non-standard OpenSim messages. If it does – double kudos to SpotON3D! If it doesn’t, schools and companies with firewall concerns will benefit if this feature is added. Today, none of the other Web-based OpenSim viewers are practically usable for OpenSim grids. SpotON3D’s viewer, since it offers all the Hippo functionality, is a great solution and puts SpotON3D significantly ahead of its competition. According to Neil Canham, CTO at vComm Solutions, the plugin has been created using the FireBreath open source toolkit for creating cross-browser plugins. This means that other companies can roll out similar functionality. Second Life, for example, could definitely benefit, and it would be a great way to expand Second Life’s reach until a workable, no-download, HTML 5 viewer becomes practical. Kitely, meanwhile, already offers Facebook logins and easy Web-based access to virtual worlds — a plugin like SpotON3D’s would not only create a seamless experience for users but also solve some technical problems for the company. For example, if Kitely packaged up Imprudence to run in a Facebook page or from the Kitely Website, it could automatically pre-install the Whisper/Mumble software, instantly enabling Second Life-quality voice throughout the grid. A custom distribution of Imprudence could also make in-world teleports easier by having the viewer automatically use Kitely’s website to activate new regions instead of directly teleporting in. Kitely stores regions away when they’re not in use, and today users have to close down the viewer and go back to Kitely’s website to load up a different region. Other companies that would benefit from being able to offer such a plugin to their customers are OpenSim hosting companies serving corporate and educational markets — especially if the plugins are designed to work well with enterprise firewalls. Finally, grid operators looking to make their grids the default starting points for metaverse explorers could use the plugin to attract Facebook users and groups. By providing an appealing orientation experience and a nice selection of starting avatars, they could attract new users to the OpenSim metaverse. Meanwhile, since all these new users would land on their grid first before hypergridding off somewhere else, the grid owners could take the opportunity to sell clothing and accessories to the travelers, or offer them land plots, private islands, or even entire private grids. This grid would be similar to the old portal websites — Yahoo, AOL, MSN — that helped introduce new users to the Internet. In fact, if traffic was substantial enough, the grid could also sell ads to folks looking to market other hypergrid destinations, virtual shops, corporate offices, and shopping malls. With hosting and bandwidth prices continuing the drop, the advertising revenues might be enough to allow the grid to offer free homesteads to its users and quickly grow to rival Second Life. In my opinion, SpotON3D’s viewer plugin is one of the biggest usability improvements for OpenSim this year, second only to Kitely’s cloud-based, instant-on regions. SpotON3D will probably have an exclusive marketing window of at least a few months until its competitors catch up — and, in the fast-moving world of OpenSim, this is equivalent to a lifetime.